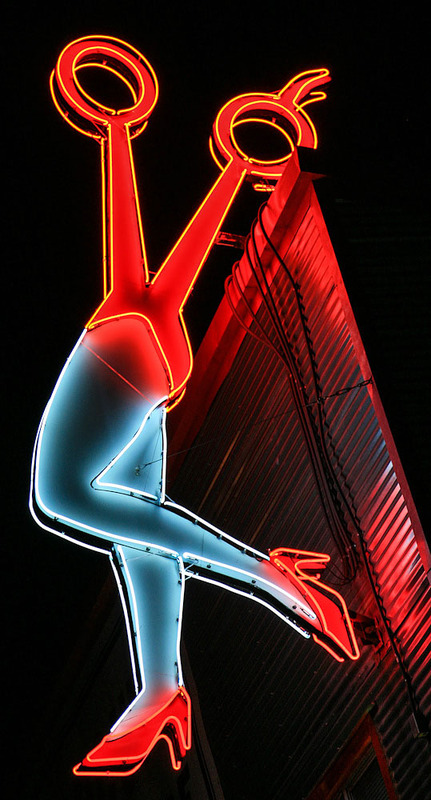 Travel down Foothill Boulevard and your met with a large glimmering red neon sign. Yes, you've just come across the Azusa Foothill Drive-in Theatre on Route 66. And a single-screener to boot, a rarity in this day and age. 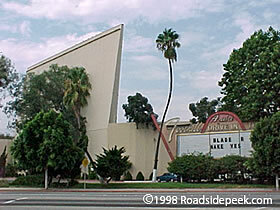 The Azusa Foothill Drive-in Theatre opened in December 1961 with a double feature showing of Babes in Toyland and Misty. The drive-in was opened up by Pacific Drive-ins and Edwards Theatres. Well, these days, single screen drive-ins on Route 66 have become even more of a rarity. 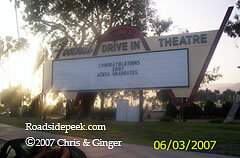 The Azusa Foothill, the last operating drive-in on the Mother Road west of the Mississippi, closed down in 2001 after being purchased by the neighboring Azusa Pacific University (APU). 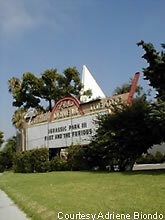 Despite objections raised by APU and the city, the California Historical Resources Commission in 2002 declared the drive-in as eligible for inclusion on the State Register of Historical Resources. On October 28, 2005, the Azusa's screen tower came tumbling down. This after the concession stand and speaker poles had been torn out to make way for a parking lot. With the screen tower went any hope of the drive-in opening again. According to APU officials, the marquee will be restored to its neon glory. However, Southern California and Route 66 has lost another landmark drive-in to the bulldozer.